When you want a laptop running Ubuntu, you can always purchase a Windows machine and replace the operating system. Why bother with that hassle, though? Instead, it is smart to buy a machine pre-loaded with a Linux-based operating from a company like System76. While System76 sells brilliant Ubuntu-powered laptops and desktops, it is not the only game in town. Actually, believe it or not, Dell has long been a proponent of Linux, even before 'Project Sputnik'. Its Ubuntu-powered XPS 13 Developer Edition laptops have been quite popular, and for good reason -- they are built well and are very beautiful. Today, Dell announces a refresh with 7th-gen Intel Kaby Lake processors. The 13-inch laptop even gets a new color option -- rose gold. "As you may remember, these systems began life four years ago as Project Sputnik, an open-ended exploratory project. 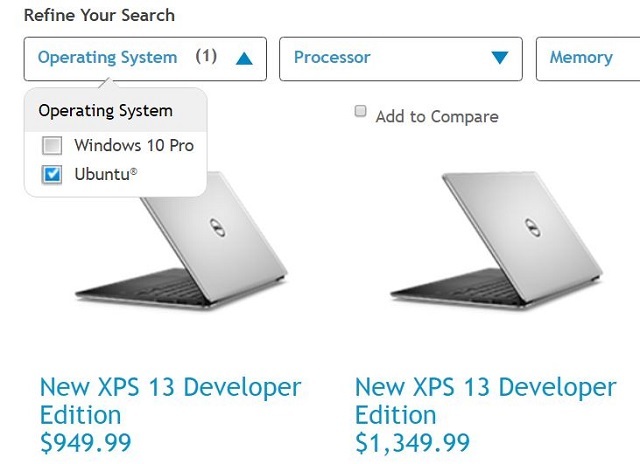 From the very beginning, the effort was designed to solicit and incorporate input from the developer community as to what they wanted in a laptop", says Barton George, ‎Senior Principal Engineer, Dell. George further says, "with the community's input, Project Sputnik became an official product and continues to evolve. 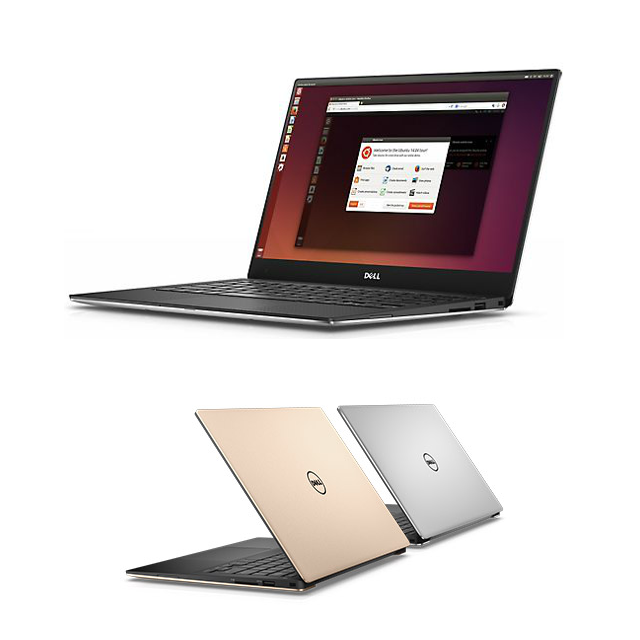 Recently, as the ultimate honor, Linus Torvalds selected the XPS 13 developer edition as his mobile laptop". Wow, Linus Torvalds -- the father of Linux -- is using one of these laptops? Impressive. Torvalds has historically used Fedora, so it is unlikely that he is using Ubuntu 16.04 LTS which is default here. The beautiful thing, however, is that the hardware should work with all modern distributions -- if you prefer a different distro, that shouldn't be a problem. Dell shares the following USA configurations and pricing. Unfortunately, rose gold is only an option for one configuration. While the QHD+ (3200×1800) screen with touch may be tempting, Linux users may be wise to save money and go for the FHD (1080p) model instead. Touch and high-resolution are not ideal on Ubuntu at this time -- it may be a waste. In addition to the USA, it can be had in the below European countries too. Configurations are similar, although the i5/8GB/128GB, FHD variant is exclusive to the USA. Prices will vary by country too. The rose gold color is exclusive to America. If you are interested in purchasing the USA version, you can get it immediately here. European shoppers should check the equivalent Dell website for their country. Be sure to change the operating system from Windows 10 to Ubuntu (as seen above) during the configuration process.